And guess what else? The fine folks at Fairwinds Press have offered a copy for me to give away to one of you! And because they mailed it directly to me, this giveaway is open to readers worldwide! Simply Follow the prompts in the widget below to enter. Thank you for the giveaway, Joni! I'd love a copy of this book. Typically PB and J with potato chips. My fav is grilled cheeze with tapenade and tomato slices. Good whole grain bread, spicy mustard, heirloom tomatoes, hummus and barbequed tofu makes a killer sandwich! I've been making pimiento cheeze with tempeh bacon. Yum! I need this book for inspiration. Mine is just a simple chickpea, vegan mayo, relish sandwich, LOVE this! My favorite sandwich is actually the TLT! I love avocado toast open faced sandwiches, especially topped with some hot sauce. Simple and classic. I like a nice, juicy seitan and Daiya sandwich with capers and vegenaise. My easy go-to sandwich is avocado, tomato slice and veganaise. But a slice of baked Asian tofu and some cabbage and kim chee make a great bahn mi. I LOVE SANDWICHES! Oh my gosh, love, love, love them. Especially paninis. I think my favorite sandwich is any version of a vegan BLT. Whole Foods makes one with dehydrated eggplant and a smoothie place here in Austin (Daily Juice) makes one with dehydrated zucchini that's colored with beet juice. So damn good. At home I really like to make sandwiches with vegan mayo, mushrooms, grilled eggplant, and hummus. MMMmmmmm. And after a long run - sprouted bread, vegan mayo and hummus, and sliced Field Roast sausage. I also can't wait to try the Buffalo Popcorn Tofu Sandwich that Wheatsville in Austin makes. Favorite sammich is the classic tempeh bacon TLT... mmm...! Lately I've been obsessed with Tofurky on a hoagie, with pickles, cucumbers, tomatoes, Vegenaise and mustard. Sooo good! I love a good mediterranean sandwich–hummus and veggies on a good whole grain bread. My favorite sandwich is a pita bread filled with hummus, baby spinach, tomatoes and kalamata olives...miamm !!! My favorite sandwich is one with smashed falafel and veggies! 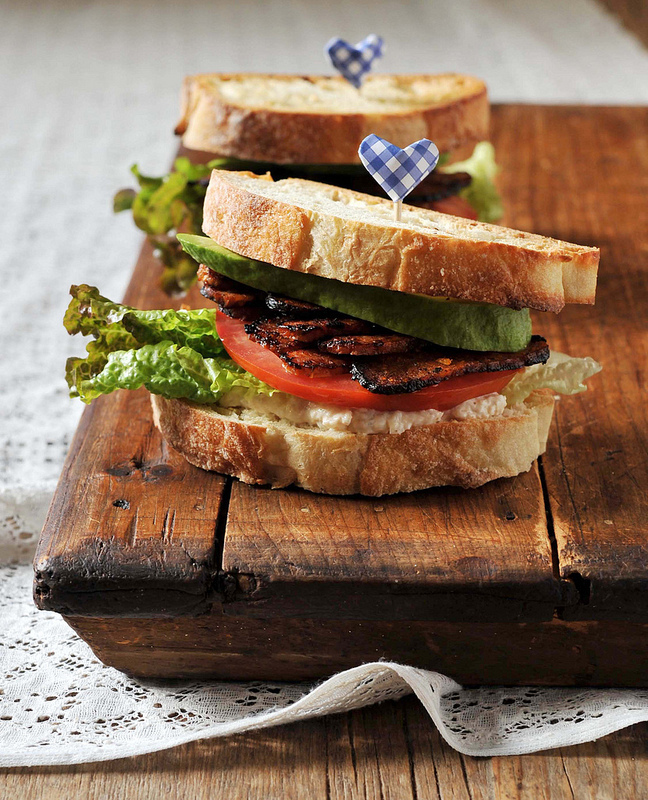 Nothing beats a good ol' vegan BLT! The one above looks especially fabulous! Looks like I'm not alone in my Reuben love! i love anything with grainy mustard! Tempeh or tofu ruebens are my favorite. A sandwich made with slices of eggplant and tomato that have been fried and some raosted red pepper slices in between. This book sounds amazing! It would give me so many ideas for school and work packed lunches. This week I've been loving a very simple open toasted sandwich with slices of roma tomato, shredded basil and a light sprinkling of himalayan salt. The tomatoes have been so sweet this summer. I'm going to miss them! 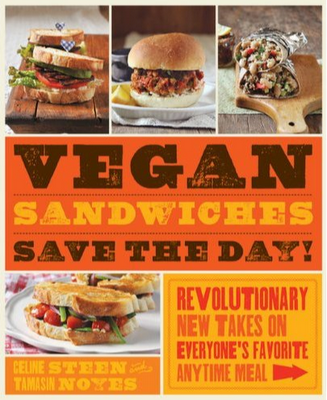 I have no regrets that I am a Vegan because today it is possible to have tasty vegan snacks like sandwiches and organic superfoods vegan friendly very easily from online stores. I just love food and I too love reading such useful blogs.